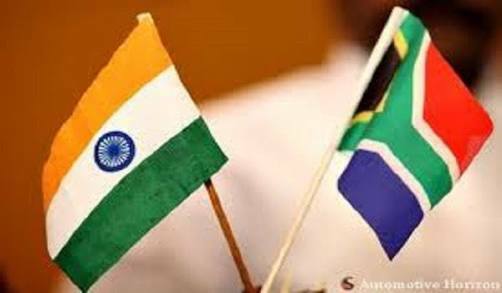 CAPE TOWN: India hopes to double trade with South Africa by 2021, Indian High Commissioner Ruchira Kamboj said here ahead of a high-level business summit. The India-South Africa Business Summit will be held on April 29-30 at the Sandton Convention Centre here. The event is being organised by the High Commission of India, in partnership with the Ministry of Commerce and Industry, the Department of Trade and Industry, Invest India, Confederation of Indian Industry, and the Gauteng Growth and Development Agency. South African Minister of Trade and Industry Rob Davies and his Indian counterpart Suresh Prabhu will deliver the main addresses. "This is the first such Business Summit ever to held in South Africa or in India. The entire focus is to maximise the potential of the economic relationship and to double trade figures from now to 2021," Kamboj said. "Trade figures between our countries stand roughly at USD 10 billion. We are confident that there is potential to double this figure. There are many sectors that our Countries can cooperate in," she said.